The Internet of Things, a lever for development in Africa? The Internet of Things (IoT ) is a concept that is an integral part of our daily lives. Taking the form of “smart phones”, connected cars or autonomous industrial production lines, the use cases of this technology are now booming in developed countries, and the value creation that results from them is more to be demonstrate. What about the African continent? Is the Continent ready to “get on the IoT train” and not miss the opportunity brought by this component of the new digital-related industrial revolution? The increase in connectivity, the rise of the smartphone, the decline in the cost of sensors, the development of the cloud or the potential attractiveness of African startups offer businesses and citizens of the continent the opportunity to become real players IoT development. The Internet penetration rate in Africa has stabilized today at around 34% and is expected to exceed 50% in 2025. The rate of mobile phone equipment is becoming increasingly important, including the smartphone that is itself a connected object, but also console for administration, manipulation and data processing of an IoT ecosystem. Initiatives exist across the continent to create technology hubs to provide the technology infrastructure required by the IoT, although overall access to this infrastructure remains limited and uneven across the continent. The rise of “as a service” spaces makes storage costs cheaper, thus facilitating the deployment of connected objects. As mass urbanization continues across Africa, the establishment of the basic infrastructure needed to build so-called “smart” cities has never been more important and relevant at the same time. Technology hubs such as Hope City in Ghana, business and residential areas such as Waterfall City in Johannesburg, Eko Atlantic in Lagos and Konza City in Kenya are already proving themselves. Spending on smart city technologies in the region is expected to reach $ 1.2 billion in 2018. Investments will focus primarily on e-government, smart transportation, agriculture and health connected. In Rwanda, the authorities plan to deploy an IoT network throughout the city of Kigali to improve access to safe drinking water, to adopt more profitable and less expensive farming methods or to provide humanitarian aid in areas devastated by natural disasters. An extensive IoT network has been designed and deployed to support millions of devices in the city. For example, a smart bus with satellite Internet provides ubiquitous connectivity for remote communities and real-time data acquisition from the communities it serves. Connected objects can facilitate the prevention and accessibility to care of populations in a context where the number of doctors per capita is only 2 per 10,000. The IoT makes it possible to overcome situations of medical deserts, in particular thanks to the tools of tele-diagnosis: the connected bracelets record the information of health (vaccines, pathologies, allergies, …) and allow a regular follow-up. Mobile telemedicine applications enable remote diagnostics via a simple phone connected to the Internet. This is the case, for example, of the Health Q startup in South Africa, which is developing technologies to help users monitor their health and fitness in general. The IoT is a remarkable lever for optimizing and exploiting natural resources, particularly in the agricultural sector. Connected objects have made it possible to emerge an intelligent, environmentally friendly and efficient agriculture in terms of the natural resources used. By analyzing soil moisture or the rate of seed growth, the sensors are able to accurately define irrigation requirements. The data collected can also take into account weather forecasts and propose irrigation schedules. In Kenya, the startup EZ Farm, in cooperation with IBM, uses sensors for monitoring soil and equipment, allowing accurate and real-time monitoring of harvesting, optimization of equipment use and prediction of future seasons. The IoT can serve the environment and endangered species in Africa. The geolocation of animals allows for example to track their migrations, but also to analyze their physical activity to detect attempts to poach or attack devastating birds and rodents of plants. In Senegal, a system with motion sensors can detect the presence of devastating birds and trigger an alarm that repels these birds. This intelligent system also makes it possible to collect the data of attendance of the rodent birds or to send emergency calls in case of risk of fire of bush. In national and international trade, more cases of use are emerging. IoT sensors measuring the evolution of temperature, humidity or vibration can evaluate and trace the quality of products in transit. The precise problems of transporting perishable or fragile agricultural products such as coffee or cocoa, which today constitute a significant part of the exports of certain African countries, can thus be identified, allowing countermeasures to be put in place. These examples demonstrate that the advent of the Internet of Things is an undeniable interest for the continent. In Africa, the IoT market is expected to grow by 15% in 2018, and the African market alone will potentially be worth $ 500 billion over the next 10 years. 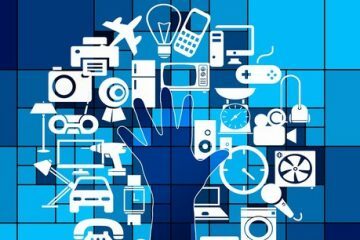 Orange estimates that the continent is likely to host more than one billion connected objects before 2020. 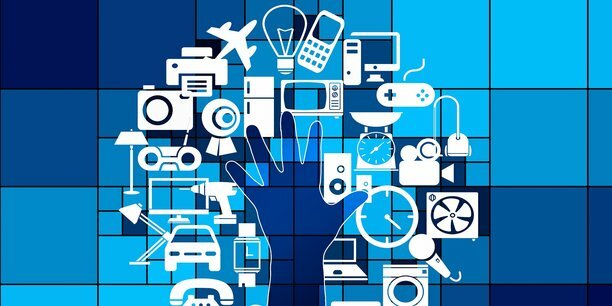 And yet, the growth of the IoT market remains concentrated in the most dynamic economies of the Continent and comes with challenges to address, in particular, adequate technological infrastructures (consisting of efficient low-bit rate data networks, data centers and a stable, high-quality, continuous supply of energy) and a qualified and operational human capital on the market are an absolute necessity, to take full advantage of the opportunities that IoT represents in Africa. L’Internet des Objets, un levier de développement en Afrique ?